During the state trial testimony of the undercover officers involved in petitioner’s arrest, the court closed the courtroom to the general public to protect the officers’ safety. The petitioner objected and proposed that an officer be stationed at the courtroom door to screen individuals who wished to enter. Instead of expressly assessing this alternative, the trial court ruled that given the concerns about officer safety, it would close the courtroom to the public during the undercover testimony. Only the petitioner’s mother and family members who did not live in the area of the arrest would be permitted to attend trial. Following his conviction, the petitioner appealed the trial court’s closure as violating his Sixth Amendment right to a public trial. The New York Court of Appeals affirmed his conviction. The petitioner then filed his AEDPA appeal, which the district court denied. In reviewing the petitioner’s subsequent appeal, the Second Circuit explained that while the Sixth Amendment guarantees a state criminal defendant “the right to a speedy and public trial,” under Waller v. Georgia, 467 U.S. 39, 45 (1984), such a right is not absolute and “may give way in certain cases to other rights or interests.” To determine whether closure is justified, Waller requires the court to engage in a four-part balancing test: (1) the party seeking a closure must advance an overriding interest that is likely to be prejudiced if the courtroom is not closed, (2) the closure must be no broader than necessary to protect that interest, (3) the trial court must consider reasonable alternatives, and (4) it must make findings adequate to support the closure. The petitioner focused on the first and third prongs. To begin, the Second Circuit concluded that the New York Court of Appeals had correctly applied the standard for the first prong when it determined that the safety of the testifying officer constituted an overriding interest that justified closure. The undercover officer continued to work in the area of the arrest, had received numerous past threats, had encountered suspects in the courthouse, and had taken steps to protect his identity in the courthouse. Thus, a specific link existed between the officer’s safety and his open-court testimony. It is not uncommon in New York state court for undercovers to testify in closed proceedings, or under a pseudonym, or with some other steps taken to protect the officer’s safety. With greater hesitation, the Second Circuit also affirmed the New York Court of Appeals’ conclusion as to the third Waller prong. It rejected the petitioner’s argument under Presley v. Georgia, 558 U.S. 209 (2010) (per curiam) that the New York Court of Appeals erred by simply inferring, from the record as a whole, that the trial court had considered alternatives to closing the courtroom. Although the trial court did not expressly discuss its reasons for closure, the Second Circuit read Presley’s requirement—that “the particular interest, and threat to that interest, must be articulated along with the findings specific enough that a reviewing court can determine whether the closure order was properly entered”—as relating to the articulation of findings specific to first prong of Waller (i.e., the government’s overriding interest), not the court’s consideration of reasonable alternatives. 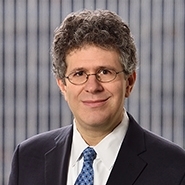 Thus, it was not unreasonable for the New York Court of Appeals to conclude that the record sufficiently showed that the trial court had considered alternatives to closure. Despite its affirmance, the Second Circuit emphasized that the petitioner’s argument as to the third prong was “not without some persuasive force,” and noted that the “implied consideration” standard developed by the New York Court of Appeals was arguably incongruent with the trial court’s duty of sua sponte consideration of reasonable alternatives under Waller and Presley. Thus, although “constrained” by AEDPA’s “deferential standard” to reach its holding, the Second Circuit cautioned lower courts weighing closure “to make a clear record of their application of the Waller/Presley test, including their consideration of reasonable alternatives to closure.” But for the unusually restrictive nature of AEDPA review, the outcome of this appeal might well have been different.